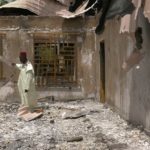 More than 150 people have been killed since Friday in central and northern Nigeria in separate attacks on villages populated by a concentration of Christians. On Friday, March 14, gunmen raided three villages in Kaduna state in central Nigeria, killing at least 114 people. The attackers opened fire on the villages of Ugwar Sankwai, Ungwan Gata and Chenshyi at about 11 p.m., according to Daniel Anyip a local government official cited by Reuters. Anyip said the attackers were from the Fulani, a West African ethnic group of herdsmen, largely Muslim, that has a history of land grievances with Nigeria’s indigenous Christians and others. The settled farming communities targeted by Fulani for several years are largely Christian. 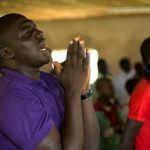 Nigeria’s Catholic bishops say the religious dimension of the running conflict is a byproduct of more fundamental herdsmen-farmer disputes over land, according to the Vatican-run Fides News Agency. Most of the victims in the three villages were burned beyond recognition, according to sources cited by the BBC. Nigeria’s Channels Television reported that 114 of more than 150 victims have been buried in a mass grave. Fulani also are suspected in attacks on several villages Sunday afternoon in Taraba state, southeast of Kaduna on Nigeria’s eastern border. 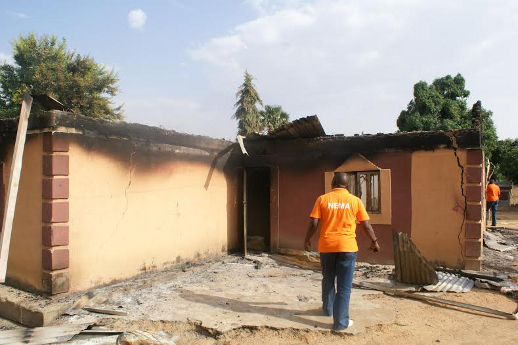 About 35 people were killed, and a Catholic Church was attacked, according to the Nigeria Daily Post. The Post cited a man who escaped the attacks as saying the raids were a Fulani response to tensions in next-door Benue state between the Fulani and the Tivs, a farming ethnic group, some of whom have adopted Christianity. Also on Sunday, militants suspected to be part of Boko Haram killed two people in Pela Birni village in Borno state, in Nigeria’s northeastern corner. Boko Haram is an armed insurgency that aims to set up Islamic law across Nigeria’s north, and has been blamed for the deaths of thousands of Nigerians, Christian and Muslim, since 2009. Pela Birni is populated by a concentration of Christians, reported Nigeria’s Vanguard newspaper. Two churches and a number of houses were burned, according to news reports. The Vanguard said the incident was confirmed by Andrew Usman Malgwi, chairman of the Hawul Local Government Area, which encompasses Pela Birni village.